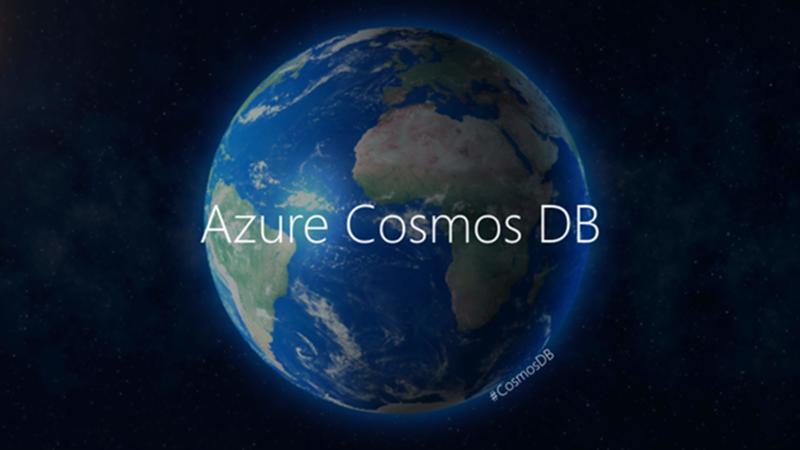 Today, we’re excited to make several Azure Cosmos DB announcements. Azure Cosmos DB is the first globally-distributed database service that lets you to elastically scale throughput and storage across any number of geographical regions while guaranteeing low latency, high availability and consistency – all backed by the most comprehensive SLAs in the industry. Azure Cosmos DB is built to power today’s IoT and mobile apps, and tomorrow’s AI-hungry future. Azure Cosmos DB is the first cloud database to natively support a multitude of data models and popular query APIs, is built on a novel database engine capable of ingesting sustained volumes of data and provides blazing-fast queries – all without having to deal with schema or index management. And it is the first cloud database to offer five well-defined consistency models so you can choose just the right one for your app. Azure Cosmos DB Cassandra API: We are excited to launch the preview of native support for Apache Cassandra API – offering you Cassandra as-a-service powered by Azure Cosmos DB. You can now experience the power of Azure Cosmos DB platform as a managed service with the familiarity of your favorite Cassandra SDKs and toolchain. Learn more about it here and sign up today to get access to the Azure Cosmos DB Cassandra API to easily build planet-scale Cassandra apps. Azure Cosmos DB SLA update - 99.999% read availability at global scale: We have been making continuous improvements to our stack and today we are proud to announce even stronger SLAs for Azure Cosmos DB - now databases spanning multiple regions will have 99.999 percent read availability. Learn more by reading Azure Cosmos DB SLA page. General availability of Azure Cosmos DB Table API: We are happy to announce the general availability of Table API. With the Azure Cosmos DB Table API your applications written for Azure Table storage can now leverage premium capabilities of Azure Cosmos DB, such as turnkey global distribution, low latency reads/writes, automatic secondary indexing, dedicated throughput, and much more. Read more about this in a blog here. General availability of Azure Cosmos DB Gremlin API: We are also happy to pre-announce the general availability of Azure Cosmos DB Gremlin (Graph API), which will be coming at the end of 2017. This update will deliver critical improvements to the performance of graph operations, improved import and backup scenarios through new tooling, and enhanced support for open-source frameworks recommended by Apache Tinkerpop, including Python client support. With GA, we will also simplify migration from popular database engines like TitanDB, Neo4j and others. Learn more about it here. Azure Cosmos DB for MongoDB API extended capabilities: Today, we are also happy to announce the public preview of unique indexes and aggregation pipeline support which allows Azure Cosmos DB developers using Azure Cosmos DB for MongoDB API to perform data manipulation in multi-stage pipelines even within a single query, enabling streamlining development of more sophisticated aggregations. Unique index capability is now generally available and allows to introduce the uniqueness constraint on any document fields that are already auto-indexed in Azure Cosmos DB. Azure Cosmos DB now also implements MongoDB 3.4 wire protocol, allowing the use of tools and applications relying on it. Learn more about it here. General availability of Azure Cosmos DB Spark connector: For customers looking to run Spark over globally distributed operational data, today we are announcing the general availability of the Spark connector for Azure Cosmos DB. Spark connector for Azure Cosmos DB enables real-time data science, machine learning, advanced analytics and exploration over globally distributed data in Azure Cosmos DB by connecting it to Apache Spark. The connector efficiently exploits the native Azure Cosmos DB managed indexes and enables updateable columns when performing analytics. It also utilizes push-down predicate filtering against fast-changing globally-distributed data addressing a diverse set of IoT, data science, and analytics scenarios. Spark structured stream support using Azure Cosmos DB change feed, query performance improvements, and support for the latest Spark version are also included. Read more about it here.